In the weeks, months and years following 23rd June 2016, the long-term consequences of a majority Brexit vote will slowly unfold. Regardless of whether the British economy continues in freefall or stabilises, to what degree EU leaders, not wanting to be seen giving the UK a ‘good deal’, continue trading with the UK and whether or not the NHS and the Higher Education Sector struggle or fall, one thing is certain: young people will live with these consequences the longest. We know the majority of young people voted remain despite the aggressive, well-funded and ultimately successful leave campaign. We also know that over 65s were the most supportive of leaving the EU. However, the way these polar demographic voting patterns played-out by geographical area are less well known. Given the likelihood of a Scottish independence referendum, the possibility of reunification in Ireland and the call from Leader of Plaid Cymru, Leanne Wood, for an independence referendum in Wales, geographies are important to consider. As this article points out there are regional dimensions to inequality and reasons behind why the more lucrative areas of the UK, such as London, voted to remain. These are explored here in relation to young people. In March this year we looked at support among young people for both leaving and remaining in the EU by the different regions of the UK*. We found the highest support for remaining to be in Scotland and the South West and the highest support for leaving in the West Midlands and East Midlands. In June we received a second wave of data from YouGov and are now busily analysing the results. This article uses the data to reveal interesting patterns of voting among young people by region. By doing this we begin to unpick the details of what happened on the 23rd June in the aftermath of what is the most significant decision taken by the British public in modern political history. Back in March we saw 57% of the Scottish population wishing to remain in the EU, 56% in Northern Ireland and 41% in Wales. Following polling day we now know 72.2% of the UK turned out to vote and 51.9% voted to leave the EU. 62% in Scotland and 56% in Northern Ireland voted to remain while 53% in England and 53% in Wales vote to leave. As is shown here, the top three regions to support remain on polling day were Scotland (62%), London (60%) and Northern Ireland (56%). The top three regions supporting leave were the West Midlands (59%), East Midlands (59%) and Yorkshire and Humber (58%). The geographical area to vote most overwhelmingly for remain was Gibraltar with 96%. Among young people our latest survey shows 61% of under-30s backing remain, compared with 24% supporting leave, making under-30s the only age group to back remain by a majority. However, variation by region is notable, as are the changes over-time for both camps. The highest support for remain on polling day among under-30s was in the South East of England (74%), then London (72%) and Scotland (72%). This is interesting when considering that less than half of the South East of England as a whole voted remain. In their region young South Easterners were a minority and stood out from their elders in supporting remain, revealing a polarisation in age groups. The highest support among under-30s for leaving can be seen in Yorkshire and the Humber (39%), the West Midlands (37%) and the South West (29%). The graphs show the widest generational gap in remain support on polling day in the North East, the East of England and the South East where young people’s preference for remain are significantly higher than the general population. Conversely the widest generational gap in support for leave are also in the North East, the South East, and the East of England jointly with the North West. The North East and the East of England are also the areas which most strongly voted to leave the EU. In short generational divisions are widest where leave support is strongest among the general population. One possible explanation could be young people reacting to the strong leave sentiments in their area. Changes to voting preferences also occurred during the four months of campaigning which followed our initial survey. As the table below shows, the biggest drop in support for remaining in the EU among young people between March and June was in Yorkshire and Humber where 11% of under-30s stopped supporting remain. Yorkshire and Humber also saw a dramatic 23% rise in support for leave among the under-30s, the biggest change in support for either campaign among this group. While young people in this area have been consistently supportive of leaving the EU since March, the steep rise in support could indicate success on the leave campaign’s part. However, the 34% rise in those who ‘don’t know’ which way to vote, counterbalance this to come extent. Indeed we can see the largest changes for all three preferences (remain, leave and don’t know) among under-30s occur in Yorkshire and Humber, mainly in favour of either don’t know (uncertainty) or leave, a possible effect of project fear. At the other end of the scale, the North East saw an 18% rise in support for remain among the under-30s and the South East a 13% rise during the same time period. For leave the biggest loss of support among young people was in London with a drop of 19%. There was also a large decline in young Londoners who didn’t know which way to vote (-25%). In Scotland, despite coming top in terms of voting for remain, the country lost 1% of young remain supporters and gained 7% of young leave supporters between March and June. In Wales, where all parties in the National Assembly for Wales except UKIP campaigned for remaining in the EU, a small gain for remain (1%) is outweighed by a 4% gain for leave in the run up to polling day. For those over 65 we can see the most dramatic change in voting preference in the North East with a 29% drop in those who did not know which way to vote, a definite increase in certainty. Given the 22% increase in remain supporters in this areas, it is likely that a sizeable proportion who become more certain also backed remain on the day. Besides this the change in ‘don’t know’ responses among the over 65 are less severe and have fewer decreases than among the younger age group, possibly indicating that the campaigns did not affect this group to the same extent as they did the under-30s. However, there are anomalies including London, the West Midlands and Scotland which lost a sizeable percentage of over-65 remain supporters in the time period. Finally, while generational divides are clear the North East, North West and the East of England all gained significant percentages of remain voters among both age groups. We found 76% of under-30s were likely to turn out on polling day. 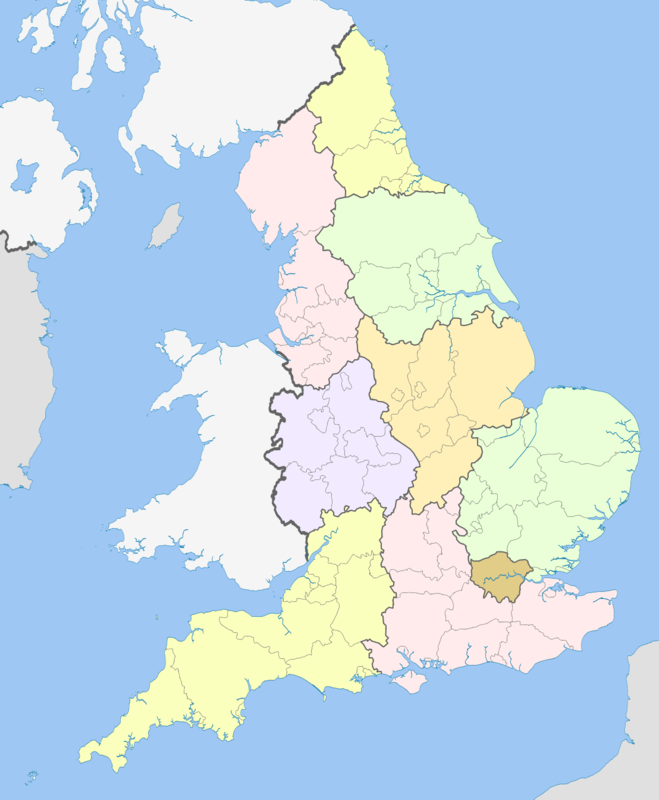 The highest percentage (99%) was in the South East, followed by Yorkshire and Humber (82%) then the North West (80%). Those most unlikely to turn out of this age group were in the East Midlands (46%), Wales (33%) and the South East (27%). The full impact of the EU referendum campaigns are yet to be explored, but the regional variations shown here can tell us something about the changes in voting patterns possibly associated with campaigning, possibly with wider population trends. We will be exploring these further in forthcoming articles, one particularly on social media and campaigning. However, the question remains, what is it about these areas that causes more or less polarisation between age groups? And, more importantly, how can knowledge and understanding of the details in these population divides help us bridge the chasm which has opened up in British society in the aftermath of the referendum campaigns? Finally in terms of devolution, the findings on Wales will be developed given the high number of young people who did not plan to turnout on polling day and the comparatively low number who voted remain. This paints a very different picture of youth engagement in Wales to that seen in Scotland and Northern Ireland, where devolution and political geography have arguably influenced the youth vote. *Our data does not include Northern Ireland. **Voting preference, previously on a scale of 1 (definitely vote to remain) to 7 (definitely vote to leave) has been changed into ‘remain’ (1-3), ‘leave’ (5-7) and ‘don’t know’ (4). ***Likelihood to vote, previously on a scale of 0 (certain not to vote) to 10 (absolutely certain to vote), have been changed to ‘unlikely’ (0-4), ‘likely’ (6-10) and ‘don’t know’ (5).